Idol actors and love stories have long gone hand in hand, but more recent renditions have shifted away from chaste and romanticized love stories, moving instead toward grittier and sadomasochistic emotional battles. One example is the new mainland Chinese drama Love Love <戀了愛了>, which began airing on March 29 on Jiangsu Television. Starring Yan Kuan (嚴寬), Sunny Du (杜若溪), and Shen Tai (沈泰), Love Love combines an intense storyline with compelling characters to offer viewers a fresh spin on the traditional romantic drama. In Love Love, Sunny Du plays Shen Meixi, an ordinary girl from an ordinary family, who had to forego higher education so she could take on a job and help out with her family’s expenses. In an unexpected turn of events, she meets Jiang Haotian (Yan Kuan), a talented young man who has returned from overseas studies to take over his father’s business duties. In the past, Haotian had once clashed with Meixi’s sister, leading him to think that Meixi wants to get close so she can plot to take away his family property. As a result, he deliberately torments her, not knowing that her patient endurance will be what causes him to fall in love with her. While the synopsis may seem like that of a typical Cinderella story, Love Love can be seen as an upgrade of other romantic dramas. Shen Meixi’s encounter with her Prince Charming is just the opening, and the rest of the drama follows them through a series of obstacles caused by the “evil forces” in their lives. The resulting sadomasochistic emotions are likely to better accord with current viewer expectations, as well as lend a more intense and gripping storyline. Another unique aspect of Love Love lies with its male leads, Jiang Haotian and Xiao Chen (Shen Tai), both of whom exude a manly charisma that has become a rare sight in romantic dramas. Perhaps hoping to imitate the popularity of bishounen in Japanese manga, mainland Chinese idol dramas have mostly featured male leads who fall into the categories of cutesy, sissy, or femininely beautiful. However, Love Love is grounded in the idea that men are innately overbearing and will actively pursue love. 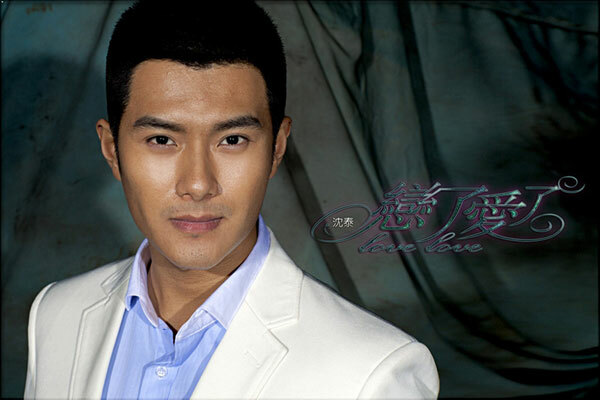 With his profound facial features and sturdy build, Yan Kuan is sure to stay true to the ideal “tough guy” image. In comparison, Shen Tai’s character is a little gentler, but will still be formidable and valorous. This article is written by Joanna for JayneStars.com. I hate bishounen and kkotminam like no other but I don’t really see what’s so different about this drama… sorry Yan Kuan. I love Yan Kuan but the story sounds too much like… was it Sealed With A Kiss? Can’t they just give us a sweet romantic love story rather than sado this, masochistic that… sounds painful and again it will look like as long as the guy who mistreats his girl loves her with his heart even if he gives her the deathly push, it will be all just fine. And it isn’t. Sealed With A Kiss was actually the only mainland series I managed to finish from beginning to end. Even if the female lead was a bit chubby, she was actually more easy on the eyes. The male lead looks good thou but does not seem to be as interesting as Sealed With a Kiss. What? They revealed the entire series in rge trailer? p.s. 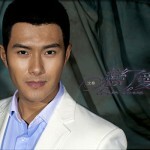 Shen Tai is the guy who assaulted producer Yu Zheng. long trailer ok. but giving away the ending?? ps: how can a sister who is so obsessed with money suddenly turn good. they have to build up that character change very well for viewers to buy it. You will find her annoying, and hate her… And guess what, guy? That type of character has been around a lot by mainland series, they think making the character more annoying is different… Right…. Another long-suffering heroine who moves the male lead so much that he falls for her? Not a cliché at all. I find the show tediously boring, and Sunny Du not a very convincing actress even if she’s YK’s girlfriend. And honestly, while her character has a tragic life, it’s surely not worse than her sister even if the sister is a royal b*tch to her. Either way, YK was not enough for me to watch more than the first 5 episodes. I read the whole article and couldn’t see which part is ‘new’. It’s sad how these types of story or soo popular these days! Thai Lakorns are all about hate love. In America 50 Shades Of Grey is so popular and then there’s Sealed with a Kiss. I guess everyone is loving controlling guys! But in real life… Girls! Dial 911!! Thumbs up! An overly controlling partner would just result in unnecessary angst and arguments.